In a world preoccupied with internet spam and phishing attacks, beware the old school scalawags who operate their rip-offs through the U.S. mail! Like their online counterparts, they are trying to lighten your wallet by offering bogus products – in this case “corporate compliance” services. When your business registers with the State of Illinois, your company information becomes part of the public record and is readily available through the Secretary of State’s public databases. There are good reasons for this requirement. For one, it is important for customers and vendors to be able to confirm that you are a legitimate business. It is also necessary for various branches of government to be able to verify the company’s ownership and officer structure for the purposes of regulation and revenue collection. Unfortunately, your contact information is also easily accessible to anyone who wants to send you solicitations in the mail. And not everyone who sends you mail has your best interests in mind. Focusing primarily on new business registrations, a specialized type of shady dealer out there is lurking, waiting to offer you their “help” in complying with government regulations. These promotional mailings are creatively worded to panic you into spending money for spurious compliance services, usually for hefty fees. The most common scam looks as if it comes from the Secretary of State’s office and mimics the design of official forms. The letter ominously references a state statute that requires businesses to file annual minutes and offers professional assistance to assure compliance. Variations on the theme may reference the filing of annual reports, obtuse business licensing requirements or other recordkeeping functions. These solicitation letters typically imply there are serious penalties for not complying, including fines or loss of business license. The language in these documents is purposely deceptive, leading you to believe you are required to send the requested payment to the state of Illinois. What they hope you don’t notice is that the sender is in reality a third-party entity with no relationship to the Secretary of State or any other government unit. In many cases, the compliance issue itself is phony. For example, the Illinois Business Corporation Act does not require corporations to file a “Minutes Records Form” at all. The only annual fee due to the state is the one related to the filing of annual reports. Even if the solicitation does reference a “real” compliance issue, there is no value added to having the scaminators handle your paperwork – except to them. Most states allow submission of official documents online and charge only minimal fees. As these smooth operators attempt to stay one step ahead of the posse, they move their businesses and change the names of their companies more often than Kim Kardashian changes outfits. Among the enterprises that have operated in Illinois are “Corporate Records Service”, “Compliance Annual Minutes Board,” “State Corporate Compliance”, Annual Business Services” and “Board of Business Compliance.” They all sound very corporate and official, but they are not either of these. The perps of the corporate compliance scams go to a lot of trouble to fool you, but there are easy to spot features that typically appear in the solicitations. In the past year, the “Philing Phee” for many of these outfits has increased from $125 to $150. Fraudsters have expenses too. All but the most criminal of these solicitations include very fine print which sets out the whole story for anyone who takes the trouble to read it. 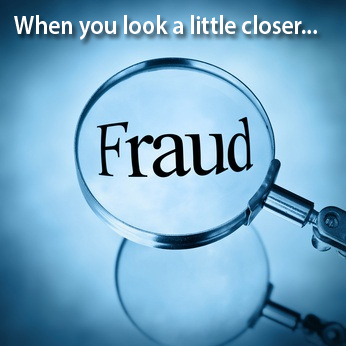 A typical sample might be: “This product has not been approved or endorsed by any government agency and this offer is not being made by an agency of the government.” While on the one hand these statements are usually hard to find and very small, the fact that they have been included at all is a strong indication that the rogues behind the scams understand they are on shaky ground. Don’t send these people money or bother to reply. I am also suggesting that if you have the time, you should report the matter to Secretary of State’s Office at 312-814-2201. If you have any questions regarding a promotion you have received pertaining to business compliance, feel free to pick up the phone and call me at 847.823.9032.